Marvel & DC Super Heroes Minifigures Only $6.67 + FREE Shipping! PRICE DROP! You are here: Home / Great Deals / Amazon Deals / Marvel & DC Super Heroes Minifigures Only $6.67 + FREE Shipping! PRICE DROP! 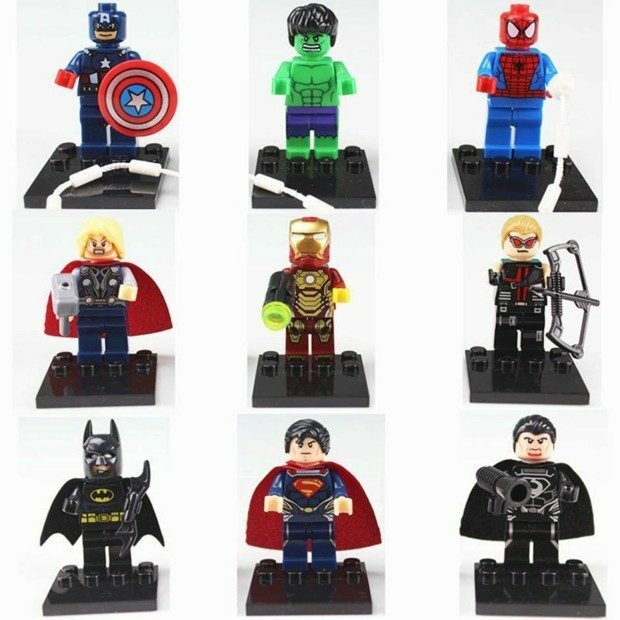 Marvel & DC Super Heroes Minifigures Only $6.67 + FREE Shipping! I have been WAITING for the shipping cost to drop to FREE on this minifigure set, so I’m psyched that it finally did! Get the Marvel & DC Super Heroes Minifigures for just $6.67 + FREE shipping! There are 9 figures in this set, so you’re paying just $0.76 per figure – a FANTASTIC price!